Adopt A Spot - Welcome to KFMB! Welcome to KFMB!Partnering with Flower Mound citizens to beautify the community and preserve our unique natural environment. Partnering with Flower Mound citizens to beautify the community and preserve our unique natural environment. Beautiful things are happening in Flower Mound, and KFMB's December newsletter ensures you don't get left out in the cold. 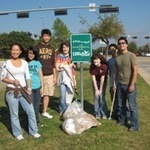 Keep Flower Mound Beautiful (KFMB) was formed as a Town Council appointed Board in 2003. In 2005 the KFMB board approved bylaws for the organization and the Board successfully obtained 501(c)(3) status through the State of Texas. This program is intended to provide residents and/or groups with a means to help keep the Town of Flower Mound a wonderful place to live, work, and play for all. 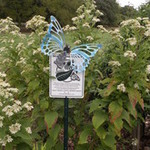 The Town of Flower Mound Adopt-a-Spot program encourages citizen participation in beautification projects and litter clean-ups of designated public areas at regular intervals. 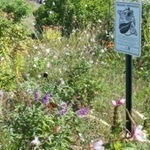 A spot could be a park, trail, road, creek, median, or Town entryway monument sign. Individuals, organizations, or businesses may agree to keep a designated spot cleared of litter and/or provide beautification for a period of one year. Special projects can be considered as part of the Adopt-a-Spot program that add permanent site features to parks and/or large scale beautifications. The Town will create and install a sign bearing the name(s) of program participant(s) in their adopted area. In addition, program participants will be listed on the Town’s website noting what spot has been adopted. Special projects can be considered for long term signage and recognition by the Town. Adding permanent site amenities such as gazebos, park benches, picnic tables, fountains, sculptures, etc. If a park is not listed and you are interested in adopting it, please contact us. The Town of Flower Mound determines acceptance or rejection of applications for all Adopt-a-Spot locations. The list above is not-inclusive and other locations can be considered or added. Some spots may require more commitment than others, so choose your spot (and what you plant in your spot) knowing your available time.